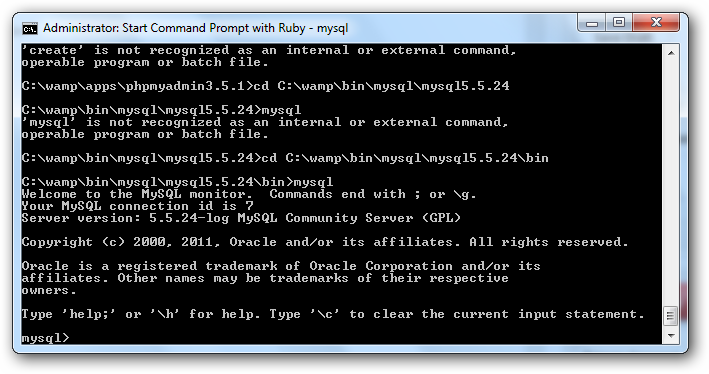 Installing WordPress on Windows PC using WAMP has several advantages like using the command line tools if you use other softwares like Ruby for Windows. 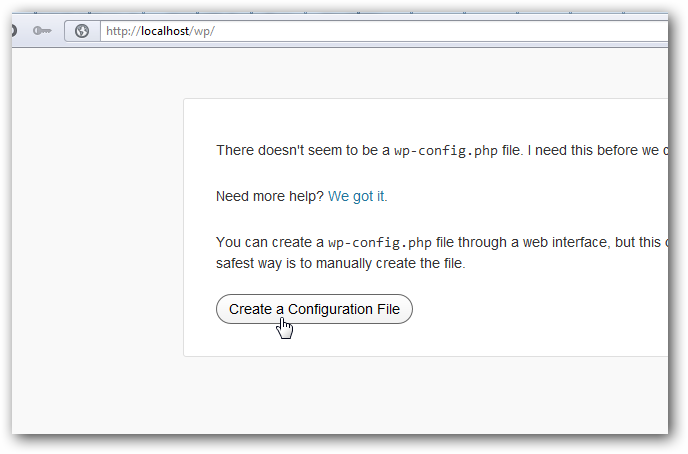 Previously we described other two ways to install WordPress. 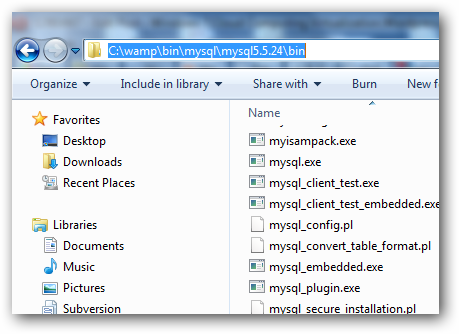 First is Installing WordPress on Windows PC using XAMPP, Second way is Installing WordPress on Windows PC using AMPPS. 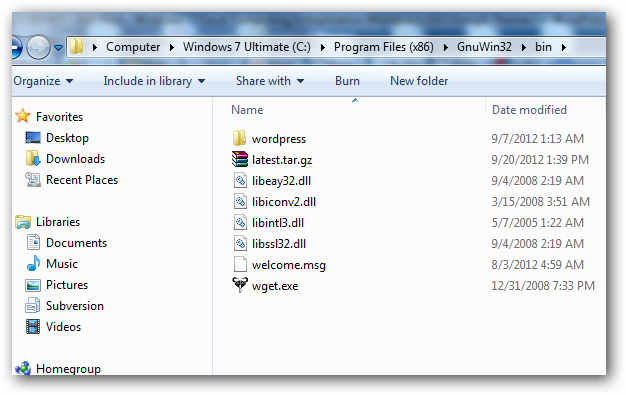 This the third and a bit advanced way for Installing WordPress on Windows PC. Installing WordPress on Windows PC using WAMP has several advantages like you can actually use command line interface in the way we are describing, secondly you can push this local installation to any special PaaS like AppFog. We will basically emulate a LAMP server setup. Default password is blank, just hit enter. 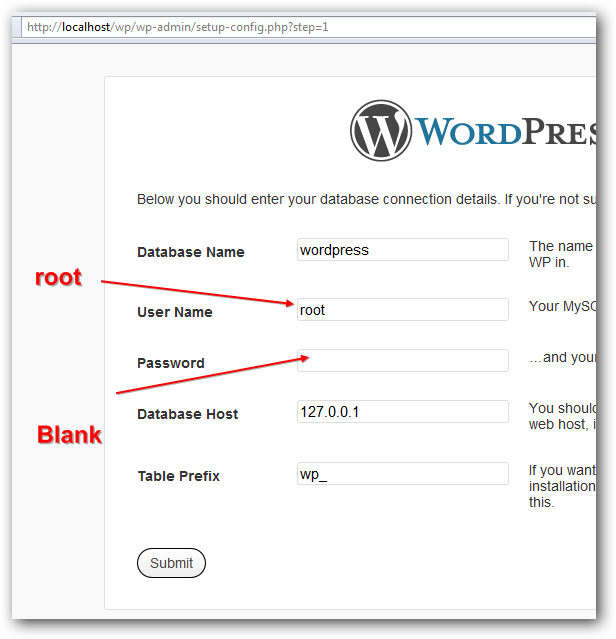 Database name in this tutorial is wordpress, User name is root, password is blank (empty), database host is localhost. And click the submit button. It will get installed. Basically we install on server in this way. 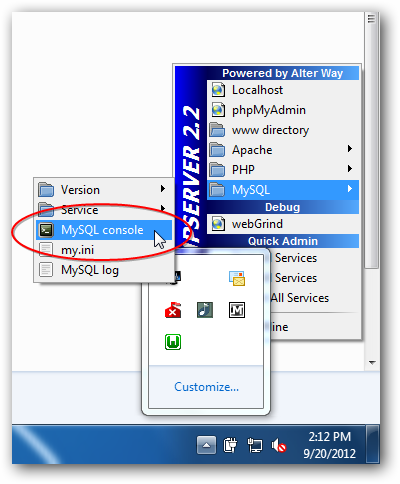 You can enjoy all advantages of a LAMP server if you follow this way for Installing WordPress on Windows PC using WAMP. WordPress is the blogging platform used most in the world, which powers up the simple personal blogs of world-famous companies. This open source platform written in PHP and based on the use of a MySQL database is developed by the company Automattic. Find Your Facebook Fan Page ID and Facebook Profile ID Easily without messy URL lookup methods. Facebook itself has great systems to fetch the required ID. 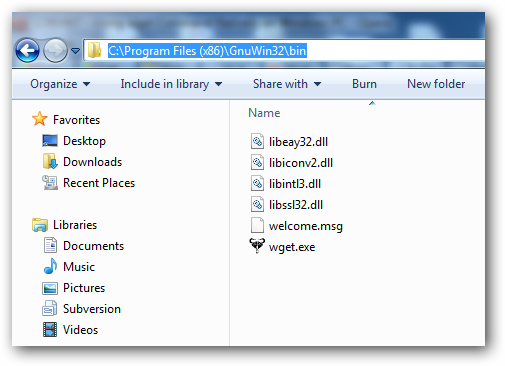 Cite this article as: Abhishek Ghosh, "Installing WordPress on Windows PC using WAMP," in The Customize Windows, September 20, 2012, April 18, 2019, https://thecustomizewindows.com/2012/09/installing-wordpress-on-windows-pc-using-wamp/.